Considering the fact that we all love a bit of privacy on our phone you may love to hear that setting up a simple security lock on the Samsung Galaxy S2 is incredibly simple and in fact the phone has several different types of locking system. 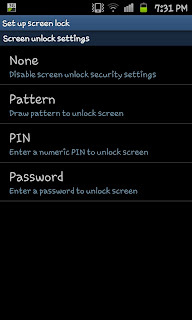 This guide is going to show you how to put on a simple "Pattern" lock using the phones in built security settings. 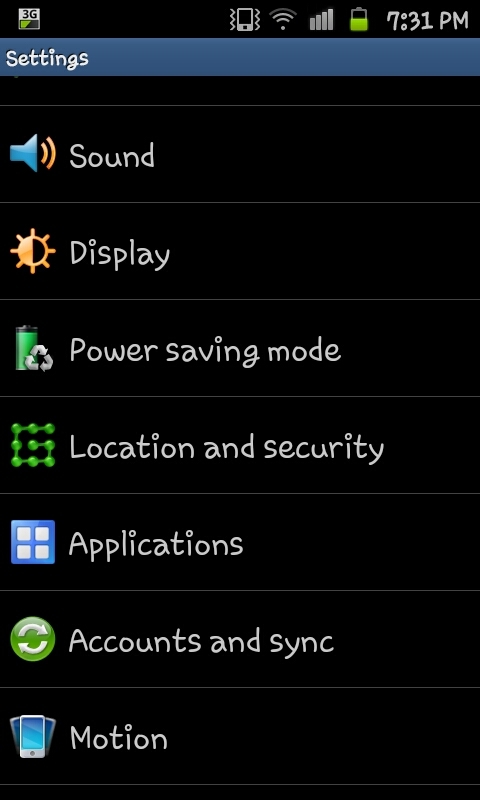 To start this we need to open the "Settings" screen so press the phones "menu" button and then "Settings". 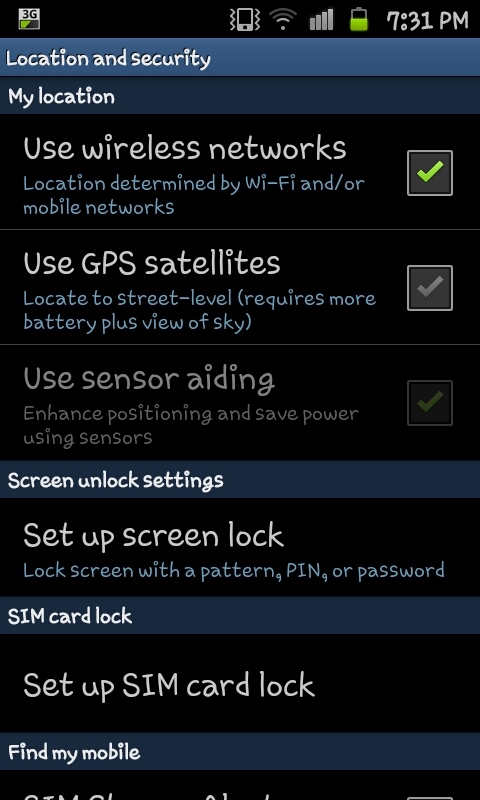 At the settings screen scroll down to the "Location and security" option (see the picture to the right for guidance if you need it). 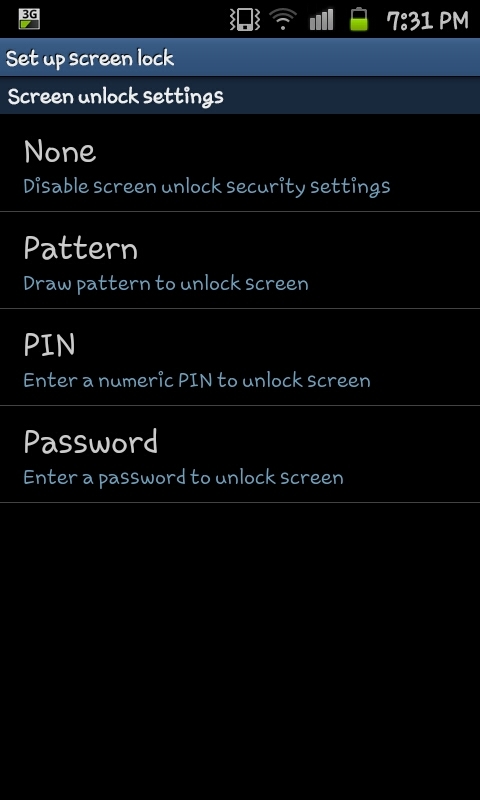 "None", "Pattern", "Pin" and "Password". For the purpose of this guide we will be using the "Pattern" option. After clicking on "Pattern" you will see 2 screens guiding you on what you need to do and explaining how the system works. If you click "Next" on both of those screens you will be asked to "Draw an unlock pattern" on the screen over a 9 dot display (see left). At this point the pattern must be at least 4 dots long so draw your pattern linking 4 (or more) dots together in what ever pattern you like. After you've done this you will need to click on "Continue" and repeat the pattern to help make sure you remember it. If you are the forgetful type I would advise you write down you pattern in someway, perhaps number the dots 1-9 and writing the way you've linked them. I.e. 1-2-3-6 (top left, top centre, top right, middle right). After confirming the pattern (bottom right after re-entering the pattern) it will be put in place. 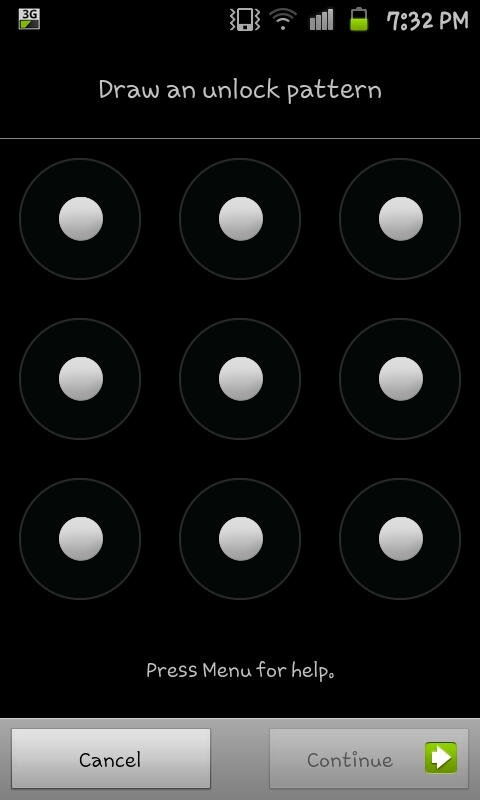 The next time you lock your phone you will see the 9 dot display sitting over the top of your regular lock screen wallpaper (see the image on the right). You will now need to enter your pattern before you are able to access the phone. This is a brilliant and simple way to deter family and friends from trying to access you're phone, if you've some of those embarrassing pictures on there this maybe the perfect protection for you just make sure you remember it. 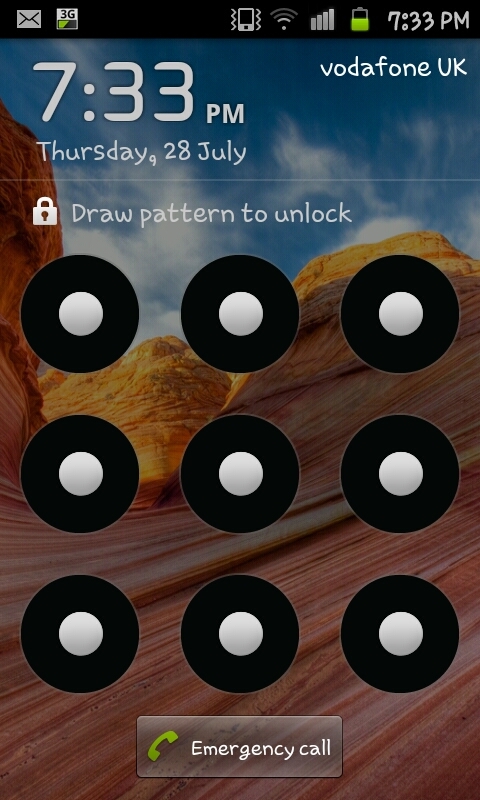 i hv recently buy galaxy s2 but i am not able to change my pattern lock.it get stuck to my very first pattern and i hv tried N number of times to change it but is of no use. There is an expanding need to secure your systems inside associations. To accomplish arrange security, all necessities must be met to utilize organizes safely. Everyone has his or her own reason for needing to use a mobile number tracker. 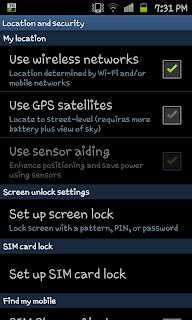 No matter the reason bestmobilenumbertracker.com/dnd-check..
Voice activated GPS devices add another level of sophistication to an advancing GPS Free navigation market.